Warranted To Be Free From Defects In Materials & Workmanship. 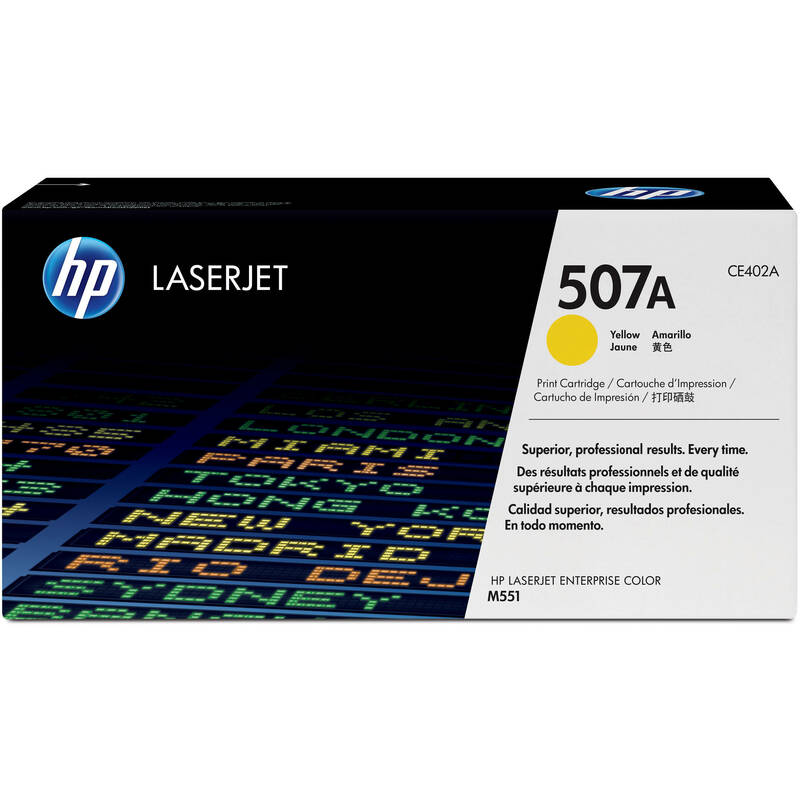 Box Dimensions (LxWxH) 15.4 x 8.05 x 6.55"
507A Yellow LaserJet Toner Cartridge is rated 3.5 out of 5 by 4. Rated 5 out of 5 by Asif from I would buy this product again from B&H Always buy the HP genuine ink for longer printer life. Rated 1 out of 5 by Jacob from HP 507A catridge review It says on cartridge that it works for over 5000 pages. This is misleading. There are 4 cartridges for HP M551 printer. After about 6,000 pages, all 4 cartridges are empty. If one take a printout of each cartridge, it will say over 6,000 pages printed. Actually one can get only 1,500 pages each cartridge. That is all 4 cartridges together 6,000 pages - not 6,000 page each cartridge. Rated 3 out of 5 by Smbe from Good Quality This toner is excellent. My only negative is the price. All of the HP cartridges are way too expensive. However, I tried using off brand ones, and they just don’t work well in my printer. Rated 5 out of 5 by Janet the Purchaser from Great Prices Can't beat B&H Pricing!